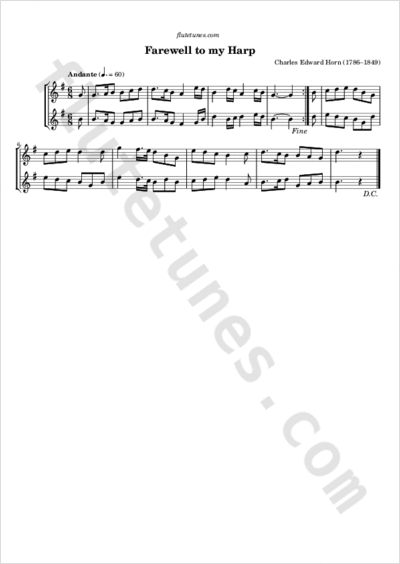 This melody was originally written by London-born composer and singer Charles Edward Horn. It was published in an arrangement for voice and piano in 1825, with the caption “a ballad sung with rapturous applause by Miss George, in the opera of John of Paris”. Well a day! Well a day! Well a day! And hush'd is the song that my soul loved to pour.